You’ve worked for weeks (maybe months) on a guide or a blog post, and you are excited to push it out finally and live. 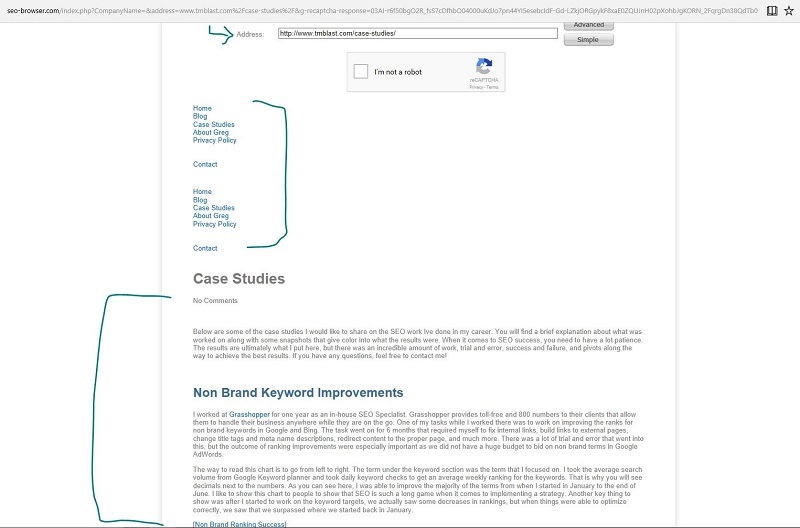 Perhaps your guide is so long (like over ten thousand words) that you can’t precisely manually check to make sure all the SEO best practices are being used. This is where tools will come in for your SEO Website audit. Tools like Screaming Frog, Google Search Console, Bing Webmaster Tools, and more are free and will get you top analysis for your site. In this guide, you will see how to do a technical SEO audit along with analyzing your web page for standard errors that can be easily fixed and will set you up for great success. In this guide, you will see how to do a technical SEO audit along with analyzing your web page for common errors that can be easily fixed and will set you up for great success. You will also see how to perform seo audits on a pretty fast basis with the tools listed below. To take it another step further, I wrote how to use log file analysis for SEO deeper dives too. Screaming Frog is all about the technical SEO audit that you have to take when looking at a web page. Broken links both internal and external can derail a new piece of content that you just launched. Maybe you have an affiliate deal that requires a correct link to go somewhere, so having that link go to a wrong place would probably hurt business. Maybe you are trying to point your audience to a new feature that was released on your site, but instead, they get to a nasty 404 page. Here is what you need to do. Step one is to put in the URL that you want Screaming Frog to crawl. As a note, you can put in a testing URL, but make sure that this is set to NOINDEX and have the robots.txt block all of those pages, so nothing gets indexed by the search engines. Once the URL is in place, you want to hit the start button and then go to the response codes tab. From there, you can sort the status code, or just look for a place that has a status code of 0. This is what that illustration looks like above. With the picture above, I can see that I need to fix this broken link, but maybe my guide is over ten thousand words, and I have no idea what the anchor text is to fix this issue. You can select that line that you want to explore (right-click) and click on the in links tab. This tab is going to show you what page the broken link is from, the wrong URL, and most importantly the anchor text that is incorrect. Here is that snapshot below. You can then go to your source code and change the landing page destination to fix the issue. The best part about using Screaming Frog here is that you can put the URL back into Screaming Frog and see if the problem has been fixed. If everything comes back okay, you are all set. Again, you can see how this tool would save you time if your guide were incredibly long. Going with the same example above, I want to make sure that I have my ALT tags listed for all of my pictures. ALT tags are what search engine spiders read to understand what an image is about. Screaming Frog can give you two quick reports that can give you the insight you need to have. The first report is the missing ALT tag report. That is merely the tool letting you know what images have been uploaded, but don’t have an ALT tag with it. To get there, you need to head over to Bulk Exports–> Images–> Images Missing ALT Text. Sometimes you might have the tag be one word. My recommendation is that these labels should be descriptive in letting the search bots understand what the picture is about. One thing that a lot of people overlook is the power of image search. Having a clear picture can help you rank very high in the organic image listings, so you want to take advantage of this. An example of this is if you are selling an item that people might do an image search for to see what it looks like. To check your ALT tags, you need to right-click on the URL you want to check–> Export–> Image Info. From here, you are going to have all of this information exported in an excel file. This is what the data is going to look like. As you can see above, I have ALT tags for all the pictures that I have on this URL. However, I think we can all agree that the last one (link building) is pretty generic and can be updated for this post. This is something I would flag during an SEO audit to show that while we do have these tags on our site, we might want to beef up this description further to give search bots more information to understand what the picture is. Also, these tags should be a compliment to the content that is on the page. The last thing you want to do is over optimize for a search term with each picture. If your post is about link building, you don’t need all of your photographs to say that phrase only. You should explain the images with other words like mentioning the tool, the process, and more. Google Search Console is a free tool that gives you a glimpse into how Google see’s your website. There are a lot of things that this device can provide, so you want to check out all the features. One feature I am going to call out is how to fetch as Googlebot in Search Console. Once you submit a page in Google, you want to look for the following things in the report. I have labeled them right here. You want to make sure are fetching Google as the mobile smartphone. 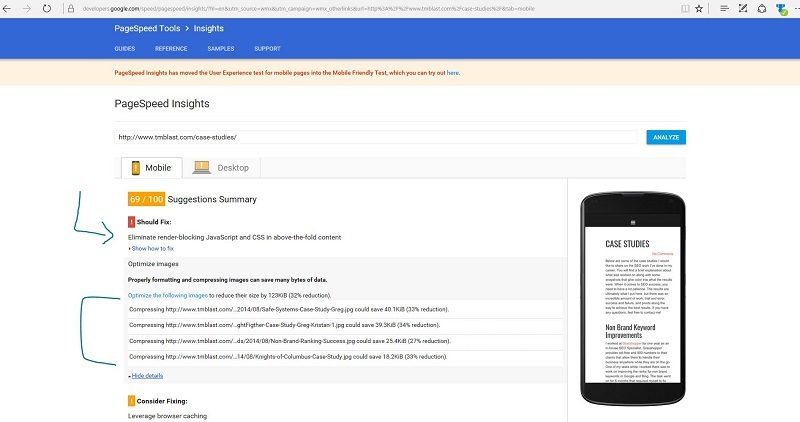 The reason is that Google has changed their focus for mobile first, so you might as well make sure you are giving your best version of your page to the text they want to see. You should also do this fetch in desktop mode as well, but make sure mobile is the focus of everything going forward when it comes to SEO. You want to make sure the page comes back with the complete check mark. If it does not, you know instantly that there is something that needs to be looked at. If it comes back as partial, you can read why Googlebot could not see everything that is on the page. Sometimes it is due to 3rd party tracking, so a partial in that case would be fine. If you have any questions about that, you should check in with your webmaster. Review your Title Tag. You want to make sure that Google sees the title that you wrote on the page. Sometimes you might have planned on having a title tag, but you might not of put it on the page. This is an excellent way to make sure you are okay and that Google can see what you have. Review the meta name description. Same as the title tag above, you want to make sure that Google can see your description that you wrote. Review your meta robots tag. Sometimes you might wonder why you are not getting any traffic to a particular page. Sometimes the culprit has merely a NOINDEX set to the page. However, you do want to NOINDEX specific pages from being indexed by Google. Moz has an excellent guide that goes into more detail on when you should do this vs. when you should not. The canonical tag is incredibly talented. If you are using a tool like Yoast, you will automatically have this added. However, you might not have a system that will add this tag in for you. If you do not, you need to make sure the canonical is correct URL version of the page. Having an incorrect canonical label is like having a glass ceiling above your site’s performance. If you want to see a case study about this, check out a technical SEO fix that increased traffic after a small repair. Staying with Google Search Console, you can also check any page speed suggestions from Google. This is a great practice to get in the habit with to make sure that you are giving your web page the best user experience. 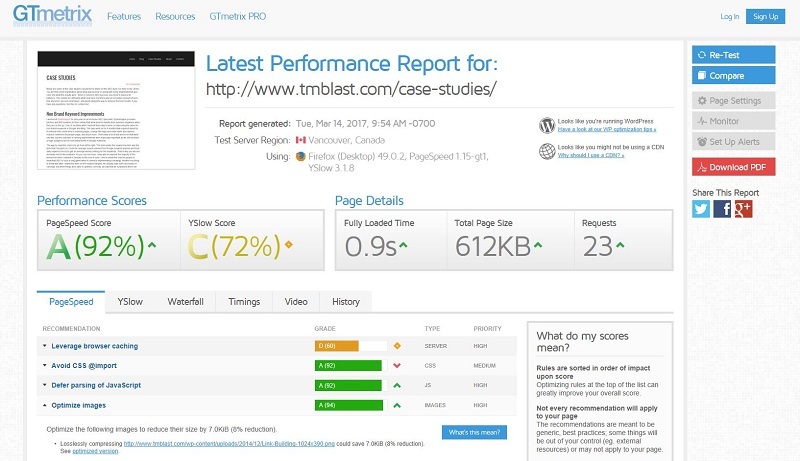 Directly head over to Other Resources –> Page Speed Insights and put on the webpage you want to look at. If you can’t find it, you can search for Google Page Speed Report, and you will get right there. Here is an example of suggestions that I can do to work on my webpage to make it run even faster. One usual culprit that comes up a lot of audits is pictures that are too big. Here is a guide on how to compress images to make your site run faster by using Google’s Speed Report. As a note, this report is more of a guide and does not break down how long it loads. If you are curious to see that, I’ve placed a few tools down later in the guide that can help you with this. As an unrelated note, I like using this tool because you can get a quick view of how your page looks on desktop and mobile. The very first thing that pops out to me is that I am very text heavy at the start of the page. This might detract users as there is a lot of text information, so I should consider moving up the picture that is slightly below the fold. Moving pictures could somewhat slow up your site, but it might keep more users on. Another great feature in Google Search Console is the ability to check your robots.txt file. Let’s say you write all of this content, and you’ve checked everything else only to realize search bots can’t see the material due to the page blocked in the robots file. To correct this issue, you have to head over to Crawl–> Robots.txt Tester. From there, you can test to see if your webpage is blocked or not from Google. Chances are you want this page to be found by Google, so you want it to say allowed! Bing Webmaster Tools is like Google Search Console, so it’s pretty much the same steps that we just went over with Google. We want to fetch the page within Bing Bot to make sure that Bing can see everything. For the majority of the time, you use Bing Webmaster Tools as a quick check to make sure you are good, but other times you might realize that there are issues with your site with Bing. If you run into any issues, you can check out some troubleshoot guides that they have to see what is going on with their bot. Bing can check if your page is mobile ready. While the majority of your traffic from Bing probably won’t come from mobile, it only takes a few seconds for the test to run to show if it is mobile ready for your users. To go there, you need Diagnostics and Tools –> Mobile Friendliness Test. From there, you put in the URL that you want to check and you will run the test. If Bing says you are right, chances are pretty high that Google thinks the same. SEO Browser is a tool that I use a lot when I am auditing a webpage. You might have gone through Screaming Frog, Google, and Bing and everything looks good from a technical standpoint. However, these tools do not show if search engines can see your content that you spent time writing. Perhaps you built all of this high content, but you realized that you created it all into an I frame. The problem with an I frame is that search bots can’t see it. 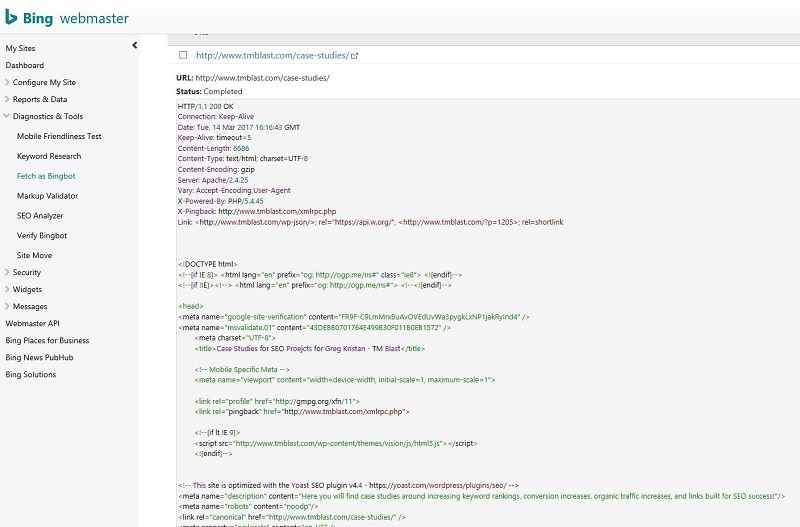 Put in the URL you want to check and you want to make sure that search bots can read all the content that you have written on the subject. An example of the material that can’t be accessed is a YouTube URL that is put on the page. While great for the user, search bots won’t be able to understand what this video is about. With my page, I can tell that my content is readable, so I am good from there. I mentioned earlier that the Google Page Speed Report is good, but it does not break down the load time for the page. My favorite tool is GT Metrix, but there are so many good speed testing tools out there. I would recommend searching and clicking on a few results to see what works best for your site. For this example, I am going to show GT Metrix. This is a test that I ran on this page using GT Metrix. What I like is that they combine what Google Page Speed Report says, but also include more information about what the most significant culprits are with speed. This will get very technical, so I would recommend running this after the page goes live and hand it over to the developer so they can see what they can do. If you feel confident, you can click on the suggestions in this report and make the changes from the back-end. You can make the changes and re-run this test to see if your page loads faster. As a note, it is easier to move from a slow page to a slightly faster page after making a change and not moving from a page that loads in less than one second to something even faster than that. If you need more information on how to use this tool, I would recommend checking out this guide. This is a pretty good spot to wrap up everything that we have gone over. When it comes to an SEO Analysis of a webpage, you want to make sure you are tackling the big things so that the smaller things (like a title tag) can work its magic. Everything that we have gone over are free tools, so anyone can play around with the tools and see what works best for their site. If you are looking for help on your site, I offer SEO expert boston services.